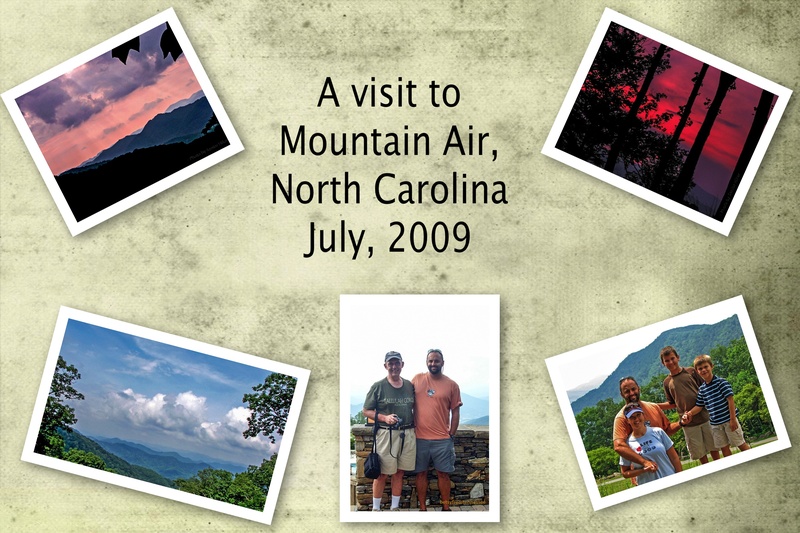 In July, 2009, Betsy and I met my son Robert and his family in the Pisgah National Forest near Brevard, North Carolina. We did some hiking in the Pink Beds and had a wonderful picnic lunch. After lunch the young people (my son inclued) decided that they would like to check out Sliding Rock, a popular summer destination in the western North Carolina mountains. 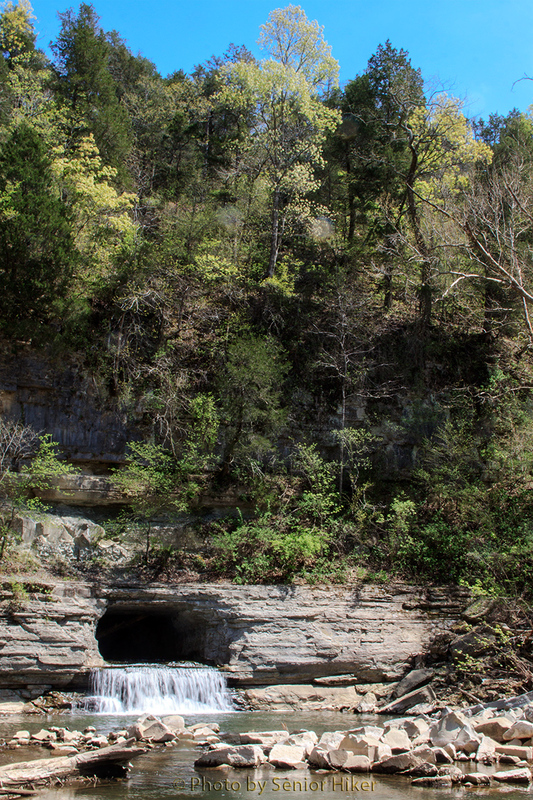 As the name implies, Sliding Rock is a water slide down a smooth rock face. Betsy and I volunteered to be the official photographers, so we had to miss out on the fun. In the collage above, Sliding Rock is shown at the top left. Robert, Sean and Zack are waiting their turn to slide down the rock (Sean looks a little unsure about what he’s gotten himself into). The top right shows Robert and Sean going down the slide. 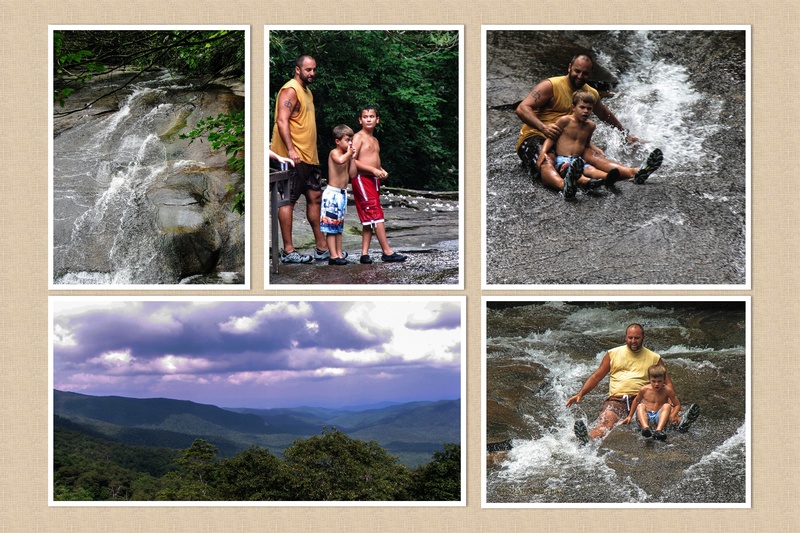 The bottom left photo was taken on the Blue Ridge Parkway later in the day, while another picture of Robert and Sean is on the bottom right. 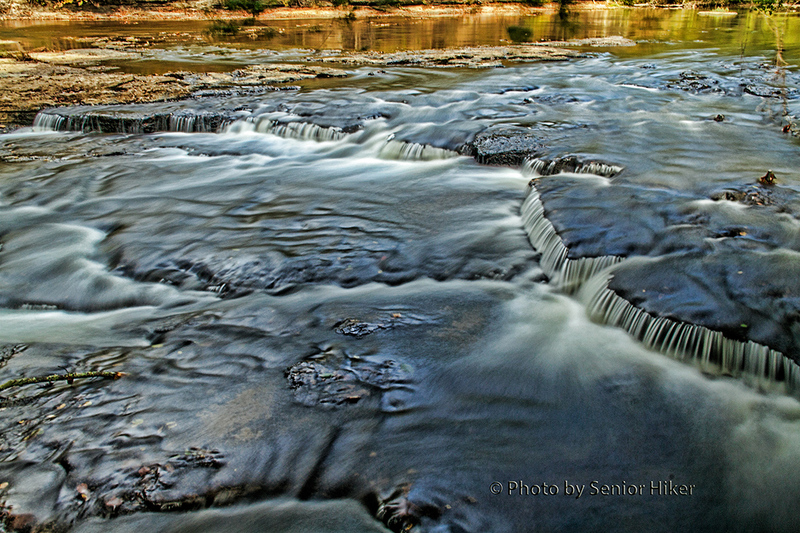 Falling Water Cascades, Burgess Falls State Park, Tennessee. October 5, 2014. 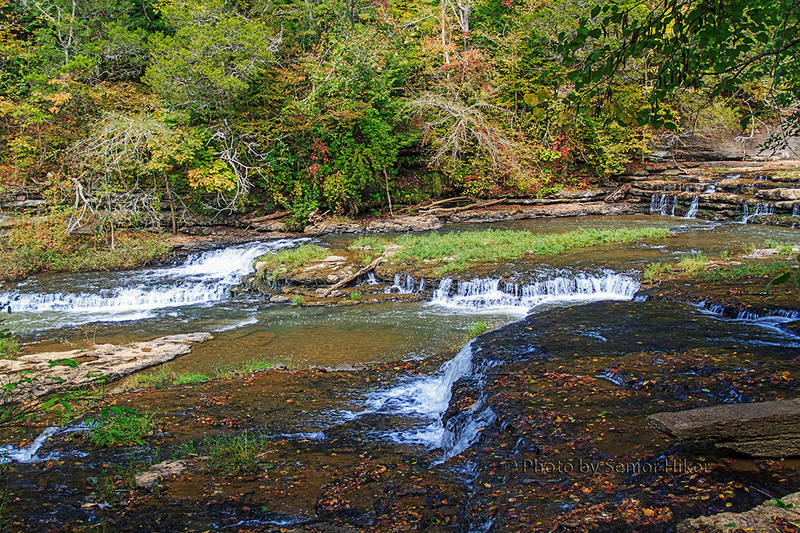 In early October Betsy and I met my daughter Kelly and her husband Chuck in Cookeville, Tennessee, to do some hiking at nearby Burgess Falls State Park. 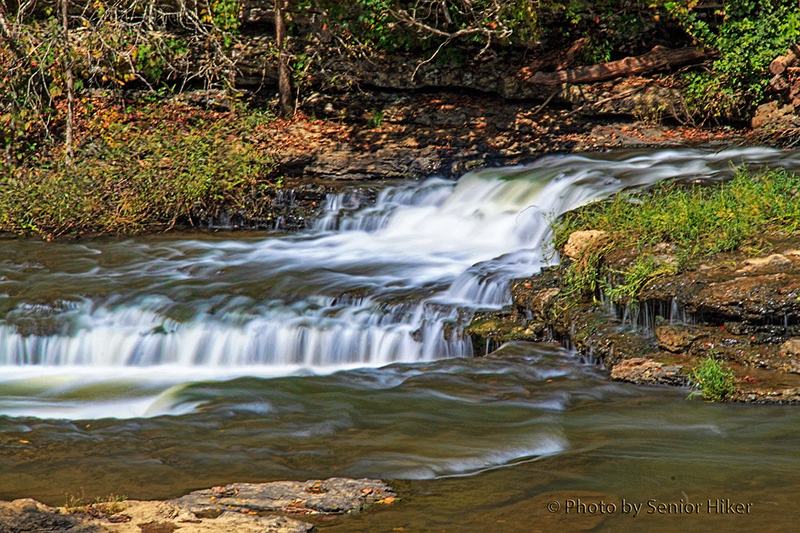 The park contains three waterfalls, but the trailhead for the main trail begins upstream at Falling Water Cascades. That’s the trail we hiked, so we took the time to visit the cascades as well. 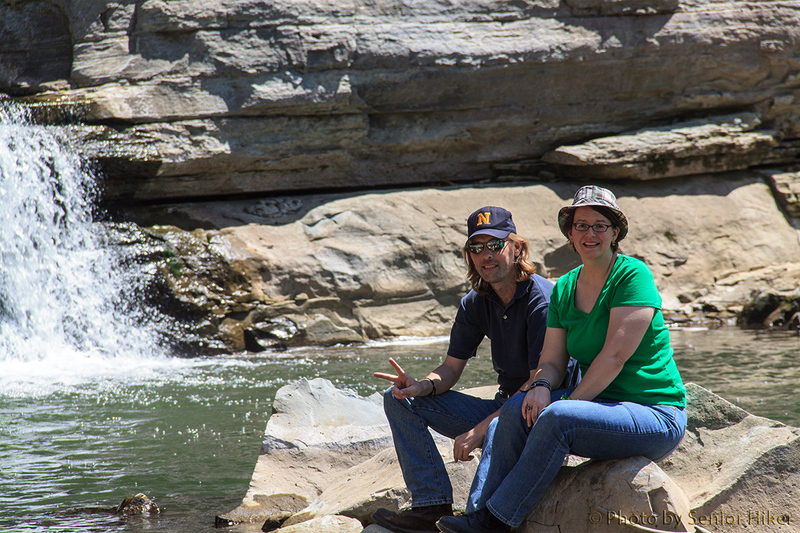 The water in river was low, but the cascades were still pretty. There was enough water in one channel to create beautiful flowing waters. Even the shallow water covering the rock river bed took on a dreamy experience. 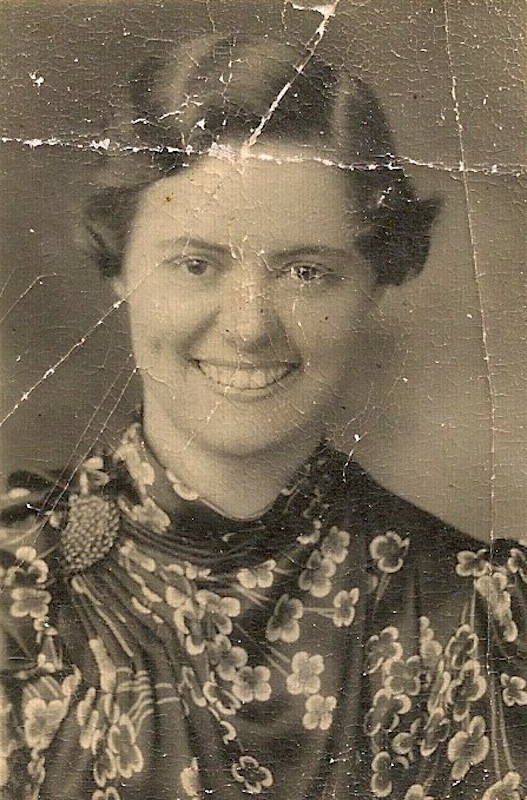 When Dad passed away last December, I found this picture of my mother in his wallet. From the worn condition of the photo, I couldn’t help but wonder how often Dad pulled it out to look at it. 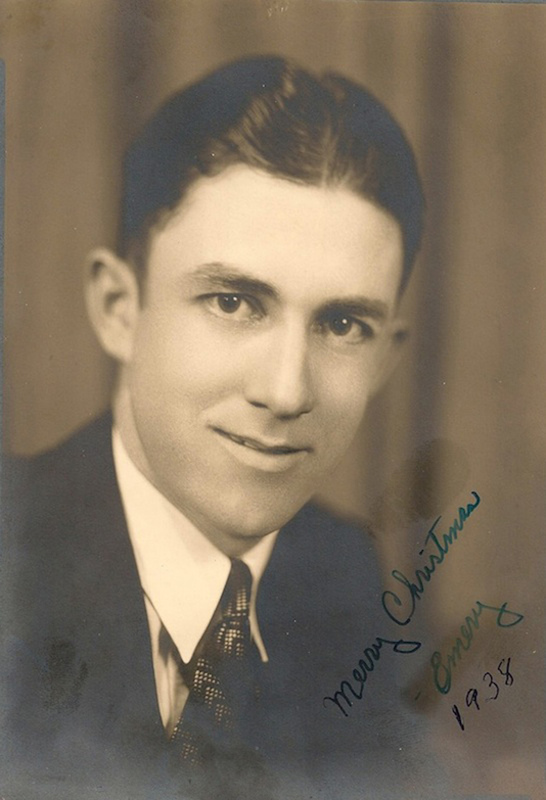 I had never seen this picture before, and while the writing on the back was badly faded, I’m pretty sure it was a senior photo taken in 1938. Dad first met Mom in 1937 when he was in the CCC at a camp near her hometown. I had seen the picture above of Dad before. It was a photo taken in December, 1938, and given to my mother. I now suspect it was a gift to her in exchange for the picture she gave him. Mom died in 2011, but today would have been her 94th birthday. Mom and Dad were married on May 5, 1940. 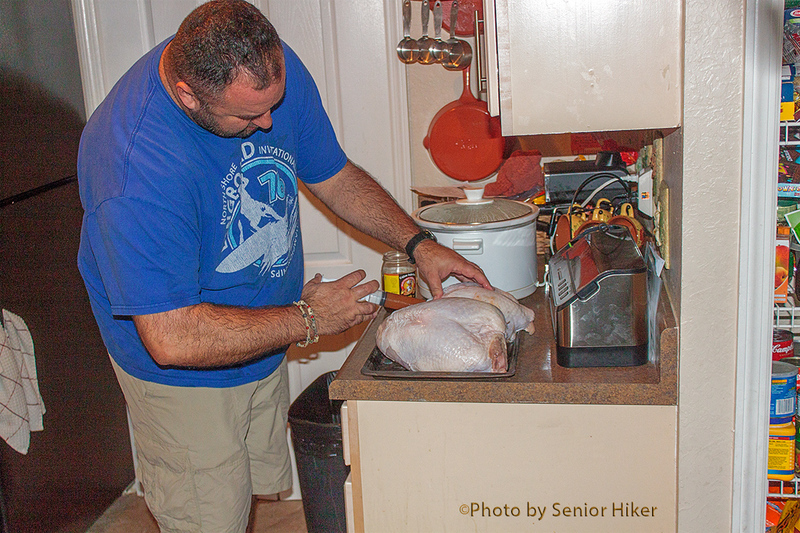 Bob injecting Cajun marinade into turkey breasts, Palm Harbor, Florida. November 28, 2013. 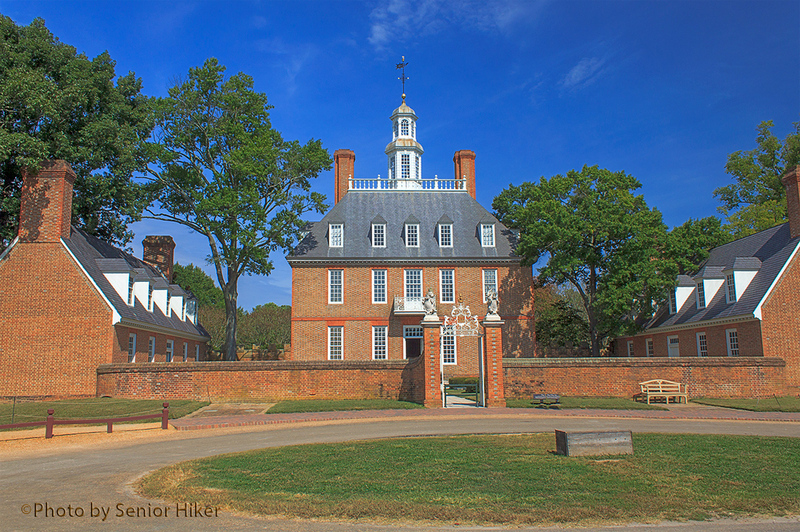 (Note: All pictures may be enlarged by clicking on them). My son Robert and his family planned to come to Tennessee for Thanksgiving, but when their plans changed Betsy and I travelled down to Florida to have Thanksgiving with them. One advantage of making the trip was that Robert agreed to make some of his fried turkey for us, a treat that neither Betsy nor I had had before. The process started with Robert injecting some Cajun marinade into two turkey breasts and a whole turkey (he must have thought we were hungry!). 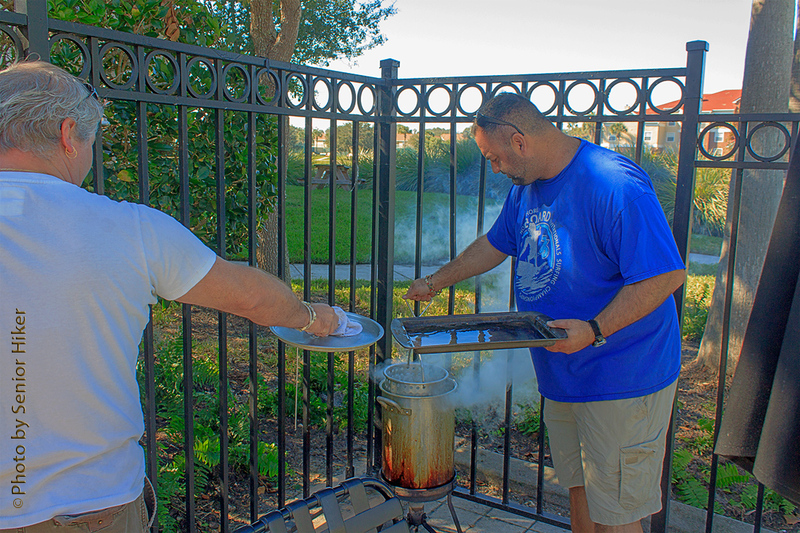 Robert and Darron putting turkey breasts into the fryer. November 28, 2013. The turkey breasts then went into the fryer with the help of a friend. While these two played around fixing dinner, I worked hard as the official photographer. 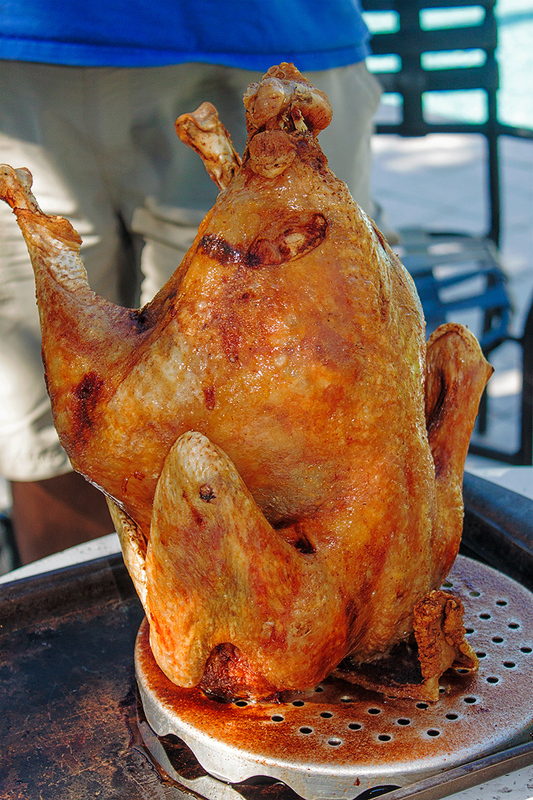 Turkey as it came out of the fryer, Palm Harbor, Florida. November 28, 2013. The turkey was fried after the breasts were done, and it came out of the fryer a beautiful golden brown. 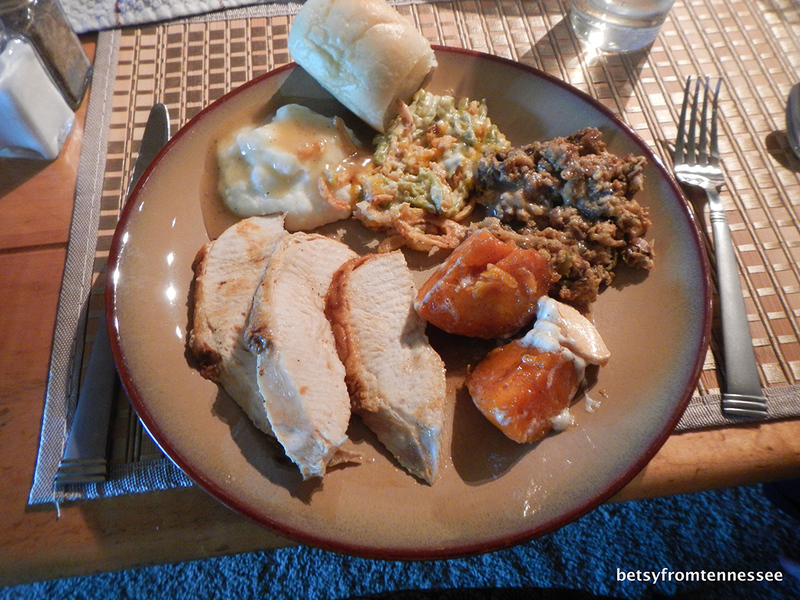 Thanksgiving dinner, November 28, 2013. While we were busy slaving away outside with the fryer, Melissa was busy in the kitchen. The result of all this work was a feast fit for a king. Robert’s pumpkin cheesecake with caramel topping. Palm Harbor, Florida. November 28, 2013. 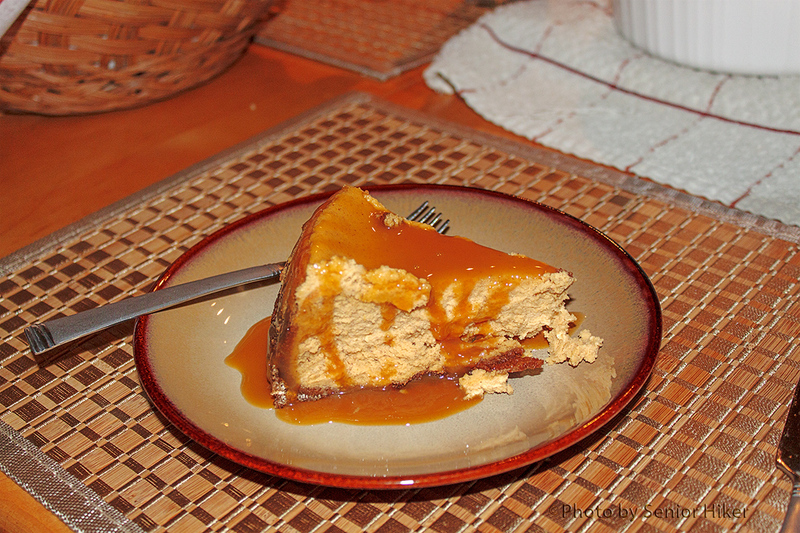 Robert topped this delicious Thanksgiving dinner with a marvelous homemade pumpkin cheesecake and caramel topping. John Emery Adams, Jr., in December, 1938. He was 26 years old. 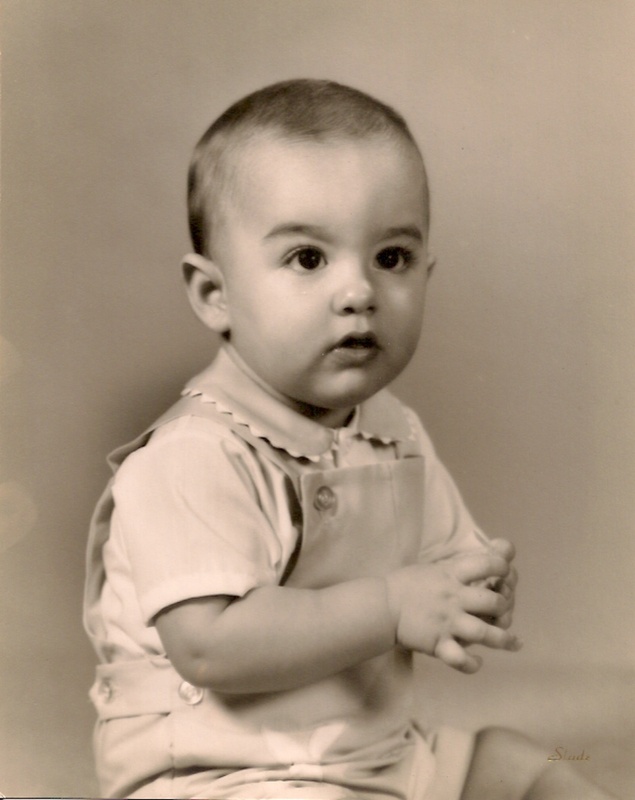 My Dad, John Emery Adams, Jr., passed away on December 5, 2013. He was 101 years old. 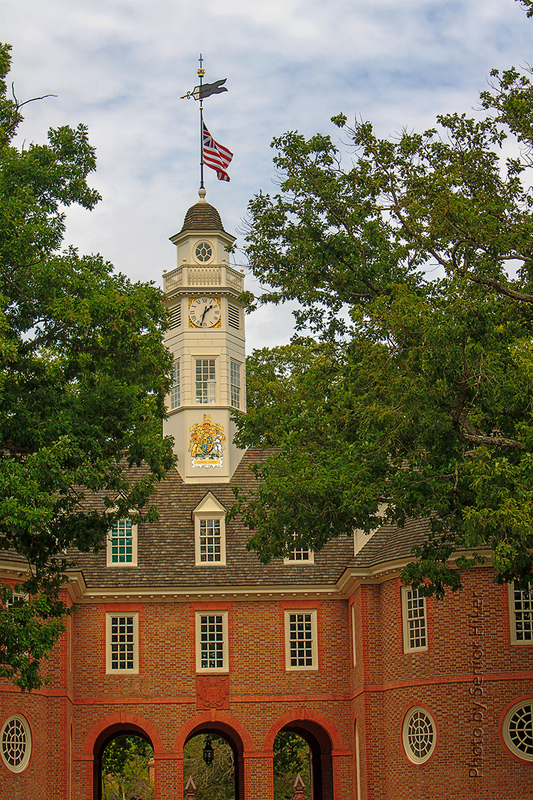 It’s hard to know how to summarize a life, especially a life that encompassed so much. Dad was born in Texas, grew up in Arkansas, lived in Indiana for many years before moving to Tennessee. He remembered going to church with his family in a horse-drawn wagon, as well as the first house his family lived in which had electricity. Dad met Mom when he was in the CCC in southern Indiana. The picture above was one he had made for Mom as a Christmas present in 1938. 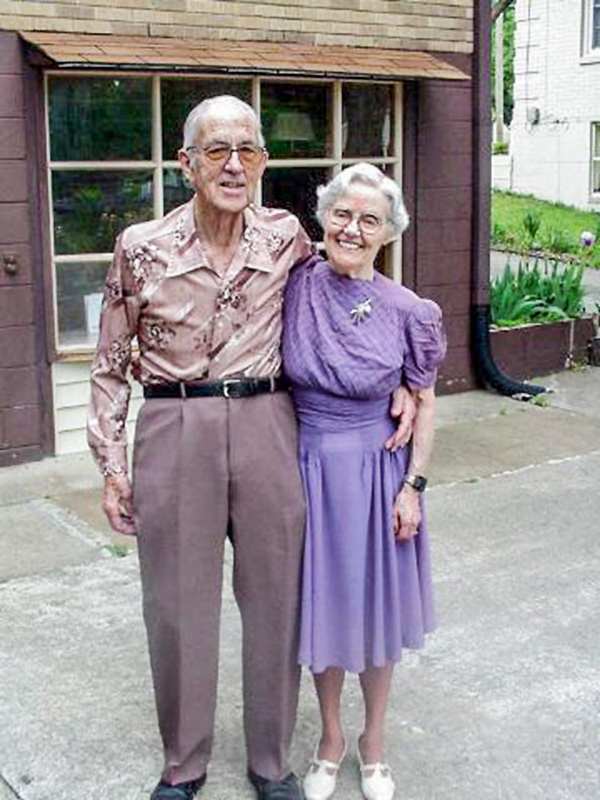 However, they had to wait until 1940 to get married, since Mom’s parents said she couldn’t get married until she was 20 years old. They got married three days after her birthday. 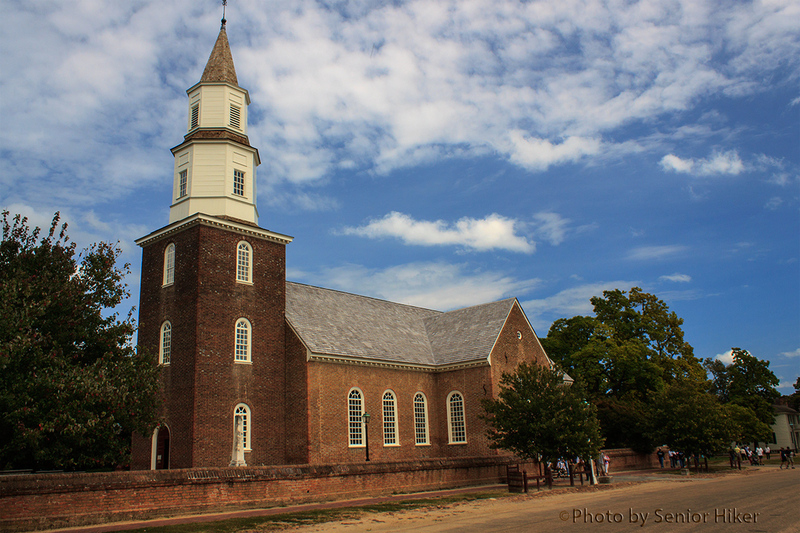 There wedding was simple — they asked the congregation of Mom’s church to stay after Sunday service and attend the wedding. They left right afterwards for their new home in northern Indiana, and shared a carton of milk as their first meal as husband and wife. Mom and Dad on their 61st wedding anniversary, Hendersonville, Tennessee. May 5, 2001. One of the most remarkable things about Mom and Dad is that you rarely saw one without the other. This picture was taken on their 61st wedding anniversary in 2001. Mom is wearing her wedding dress. Dad at my uncle’s home in Crown Point, Indiana. I remember that Dad had a love of gadgets and was always trying to figure out (usually successfully) how things worked. 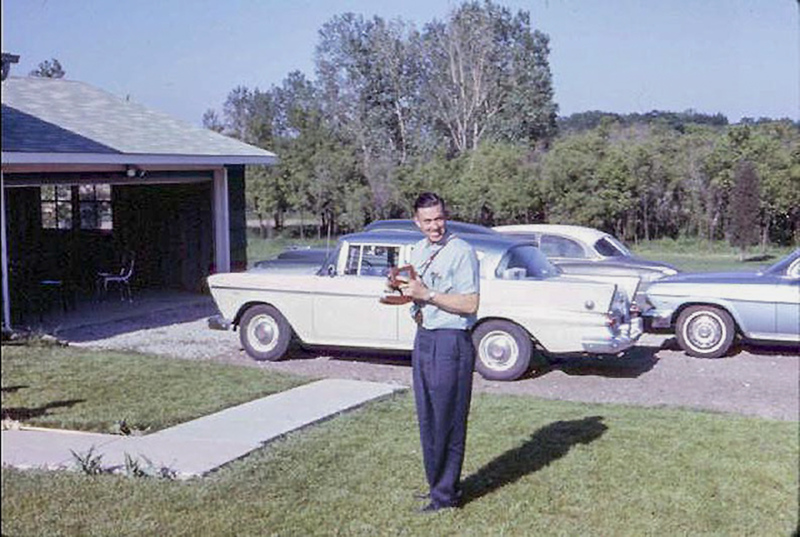 This picture, taken about 1960, shows him with his new movie camera. He got a computer at the age of 90 and exchanged daily emails with us until he lost his sight and had to give it up. I always thought Dad could do anything. 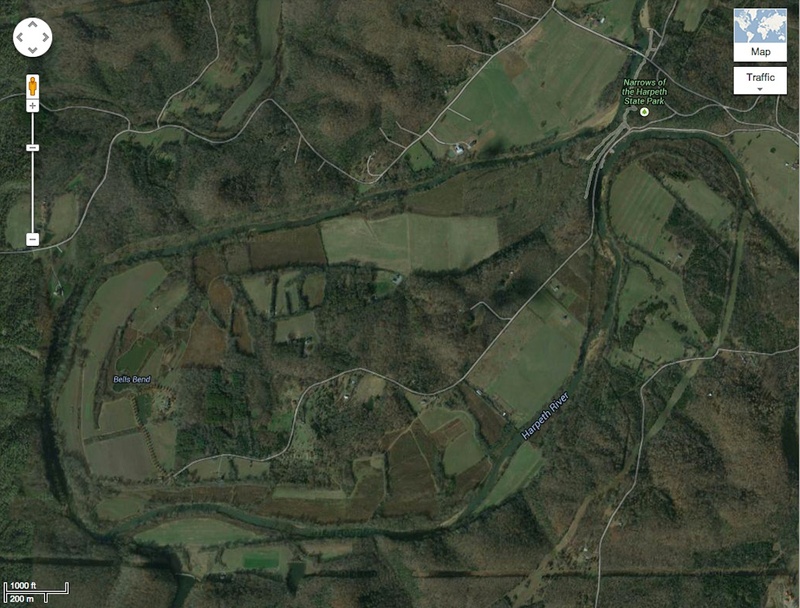 He built most of the house in which I grew up, as well as the farm buildings we had. If something broke, he usually managed to fix it. He taught himself to repair small appliances so he would have something to do after he retired. He repaired appliances until Mom made him quit when he was 80 years old. 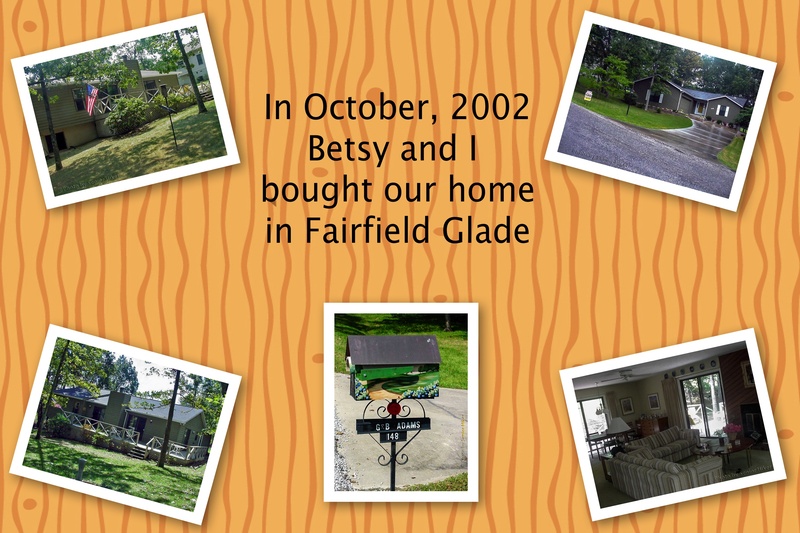 We still meet people in Hendersonville, Tennessee, who talk about what a wonderful job he did as a repair man. Dad and his riding lawn mower. 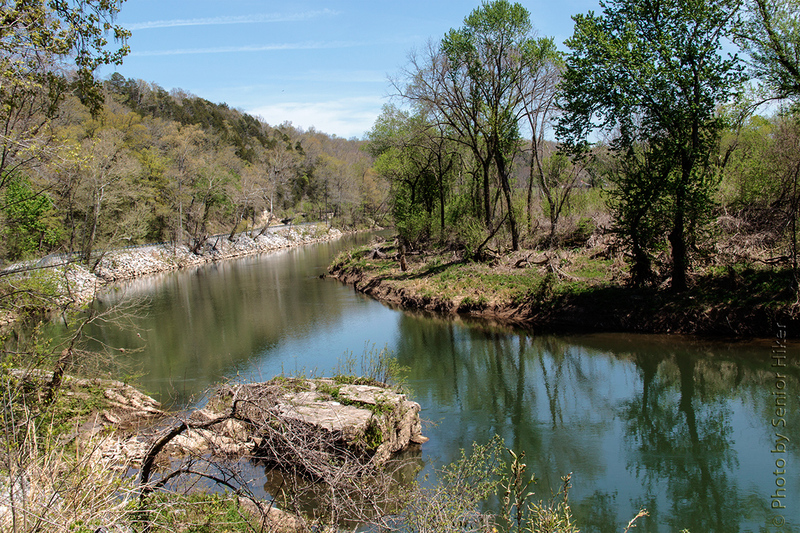 Hendersonville, Tennessee. 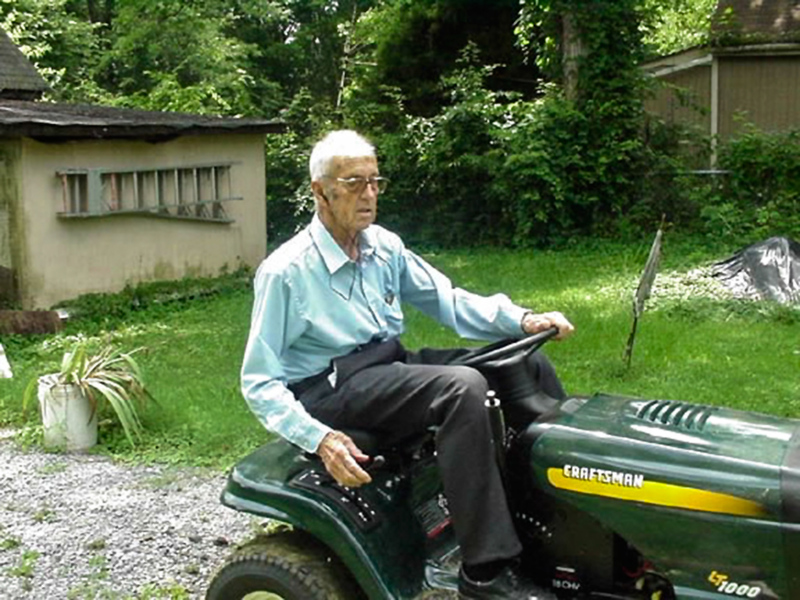 Although Dad was still climbing up on the roof of his home to clean the gutters well into his 90s, he did decide that pushing a lawn mower over their large yard was a bit much, so he got a riding mower. Front row: Betsy, Dad, Bonnie (my brother’s wife). Back row: Me, my sister Janet, and brother Ken. 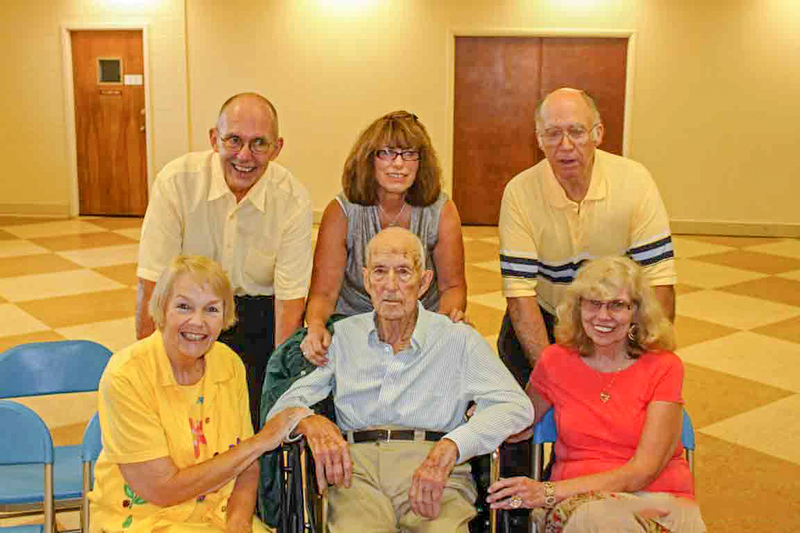 Mom died in 2011, so she wasn’t there to celebrate Dad’s 100th birthday in 2012. We had a party for him at his church in Hendersonville, and many family and friends came to help him celebrate. This picture of Dad was taken at that party. We had a celebration of Dad’s life yesterday (Monday). I’m going to miss him.